Teresa Lisbon has made her decision. She's moving to Washington D.C. with Marcus Pike... but not quite yet. 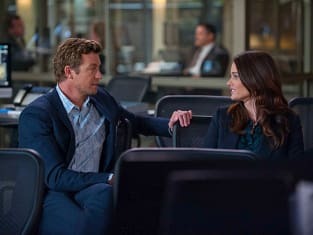 On The Mentalist Season 6 Episode 22, when a cold case gets hot, Lisbon needs to stay in Austin a little longer than expected. Will this give Patrick a little more time to sort out his feelings for his long-time partner and friend? Will he attempt to convince Teresa to stay? 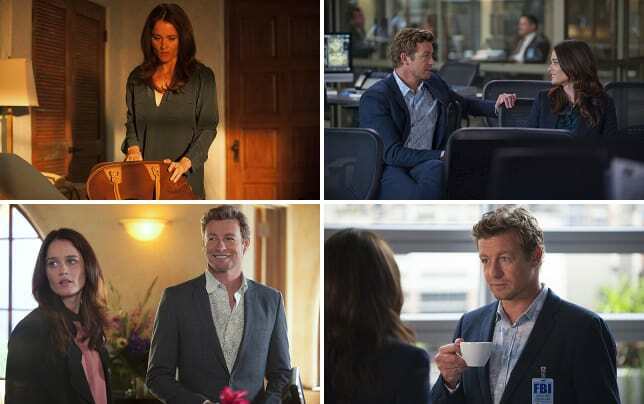 From the looks of these pictures, we'd say Jane's got his work cut out for him. Check out these photos from the season finale "Blue Bird" scheduled to air Sunday, May 18th on CBS. And if you can't get enough of Patrick Jane, Teresa Lisbon, and the rest of the team, you can watch The Mentalist online any time here at TV Fanatic. You're acting cool about stuff I know you can't be cool with. Permalink: You're acting cool about stuff I know you can't be cool with. Oh LIsbon's not leaving. She likes to talk like she might but I don't think she's going anywhere. The Mentalist Round Table: "Blue Bird"